Born and raised in Slovakia, Zuzana received a master’s degree in physical therapy from the University of Washington Rehabilitation Medicine Program in 2003 and continued her education by earning a terminal professional degree, Doctorate of Science (ScD) in physical therapy at the Texas Tech University Health Sciences Center in 2013. Her dissertation focus was on sports injury prevention in adolescent athletes. 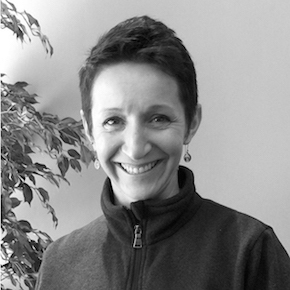 Zuzana now teaches continuing education classes in sports injury prevention nationwide. She has recently enrolled in Sports Physiotherapy Diploma Program through International Olympic Committee, a worldwide program designed for physical therapist working with elite athletes. A former member of the Czechoslovak and Slovak National Ski Teams, she is actively involved in the Alaska’s sports community as an athlete, coach and a volunteer physical therapist. Zuzana leads Advanced Physical Therapy’s Sports Physical Therapy Program, which provides outreach support to community, professional and recreational athletes. Her passion in sports rehabilitation, injury prevention and performance enhancement reflects on her work with the U. S. National Cross-Country Ski Team, Alaska Pacific University Ski Team and many additional sports clubs in Anchorage. She travels with the US National Ski Team to cover Cross-Country World Cup every year. Moreover, she has presented at many workshops regarding sports injury prevention, especially in adolescent population. She is board certified Sports Clinical Specialist through American Board of Physical Therapy Specialties and certified orthopedic manual therapist of the spine and extremities through the IAOM-US. She is also certified in Trigger Point Dry Needling technique. Zuzana has been a member of the Advanced Physical Therapy team since 2004. She has been inducted to the University of Alaska Sports Hall of Fame in 2012 and she was selected as one of ‘Alaska's Top Forty Under 40’ by the Alaska Journal of Commerce and Anchorage Chamber of Commerce in 2013. Her treatment philosophy includes treating the clients, athletes as a whole person, working to create an optimal environment for healing and performance. She enjoys spending time in the Great Alaska outdoors with her family, hiking skiing, biking and gardening.